This is sequel to the intervention of the Director General of the Nigerian Maritime Administration and Safety Agency (NIMASA), Dr. Dakuku Peterside, when the dockworkers staged a protest at the Agency recently. 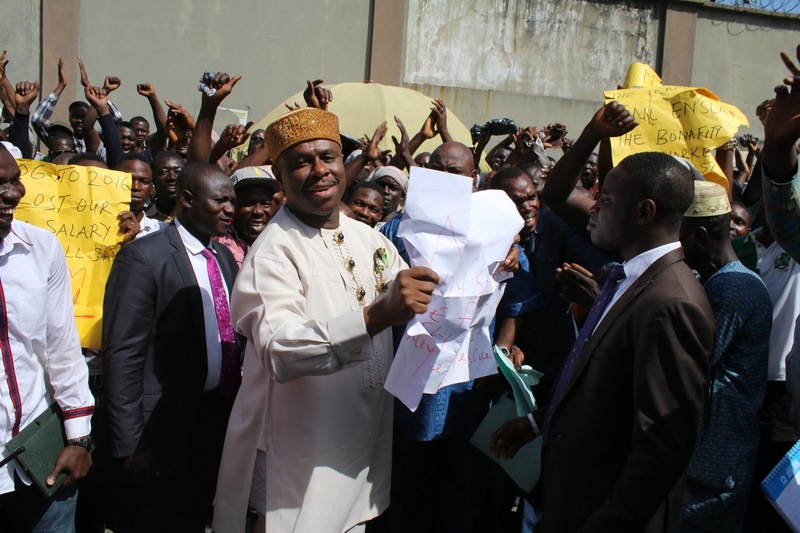 Dr. Peterside had promised the protesting dockworkers that the Agency will engage all interested parties in dialogue with a view to resolving contentious issues within seven days. A series of meetings were then held at the Agency involving representatives of the dockworkers, Maritime Workers Union of Nigeria (MWUN), ENL and the Nigeria Police, where it was finally resolved that all disengaged dockworkers should be paid the sum of N350,000 as earlier offered by ENL. The Director General also assured all stakeholders that as the Agency responsible for the regulation of maritime labour in Nigeria, NIMASA will always ensure fair and just treatment of Seafarers and Dockworkers in line with the International Labour Organisation (ILO) Decent Work Agenda and the Maritime Labour Convention (MLC 2006). The Director General therefore charged employers of maritime labour and the workers to continue to be law abiding and always engage in dialogue as an alternative dispute resolution link. This is the first time in the history of the maritime sector in Nigeria that casual dockworkers would be paid terminal benefits.